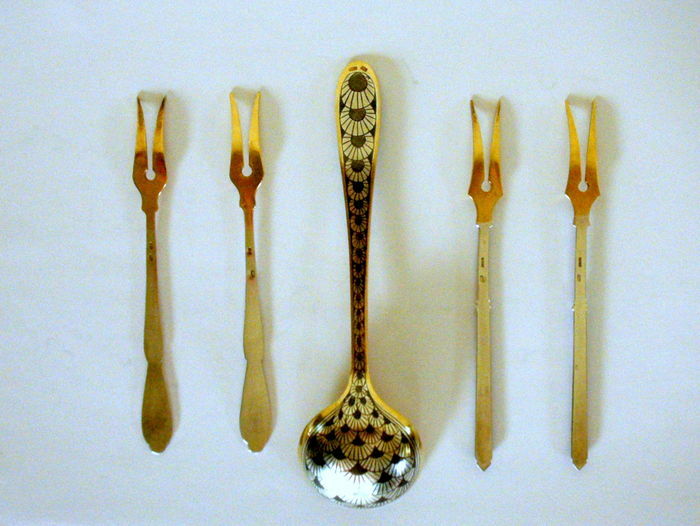 Vintage rare Soviet Russian silver (875/1000) gold gilded, hand engraved niello SILVER SPOON , hallmarks: Russian S-Ch-6 , small M-Star-875; (Moskow, produced by Vielikoustiugskaja enterprise in Moskow "SIEVERNAJA CHERN" 1964-1968), L= 16 cm, weight 39 gr. 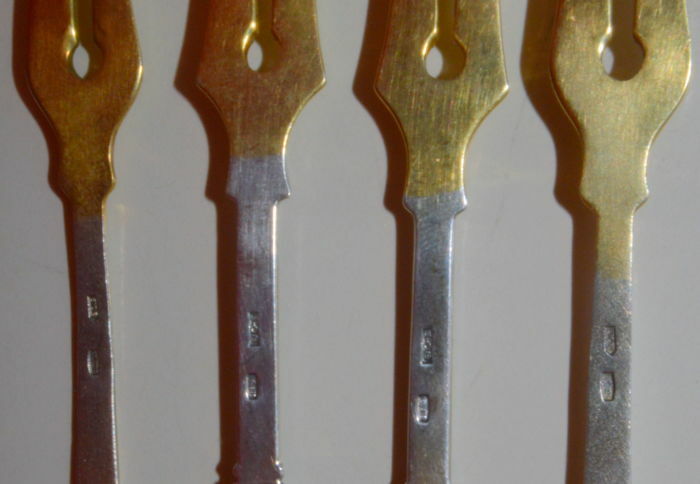 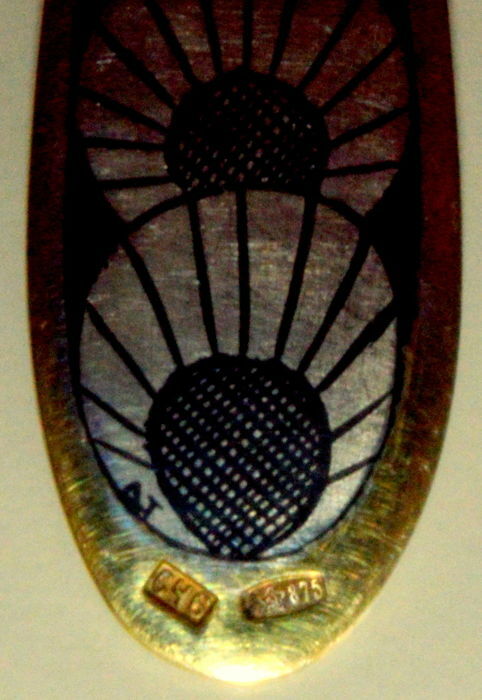 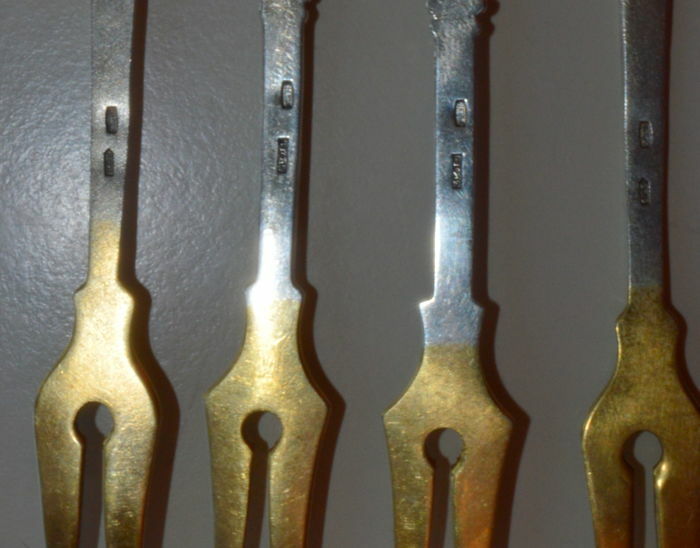 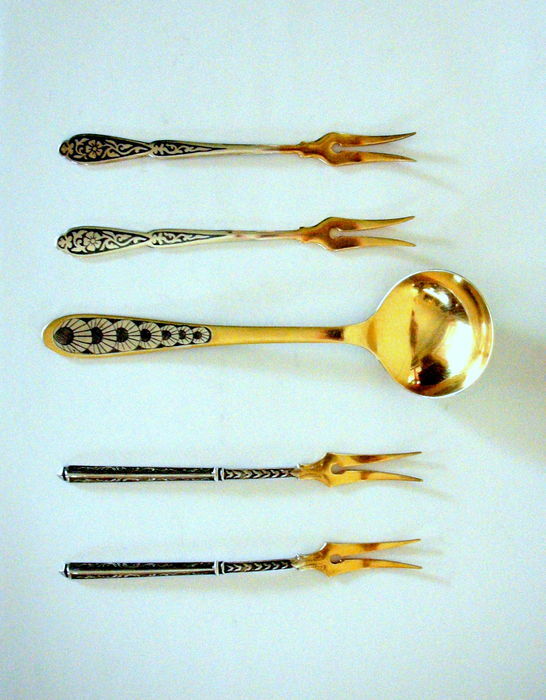 Vintage rare Soviet Russian silver (875/1000) hand engraving, gold gilded, niello, finish texture, triangular silver small fork, "Sievernaja chern"
hallmarks: Russian B-JU-8; small B-Star-875; ( produced by ateller ,, Bronickij juvelir" 1956-1958), L= 13 cm, 2 pcs., Weight 26 gr. 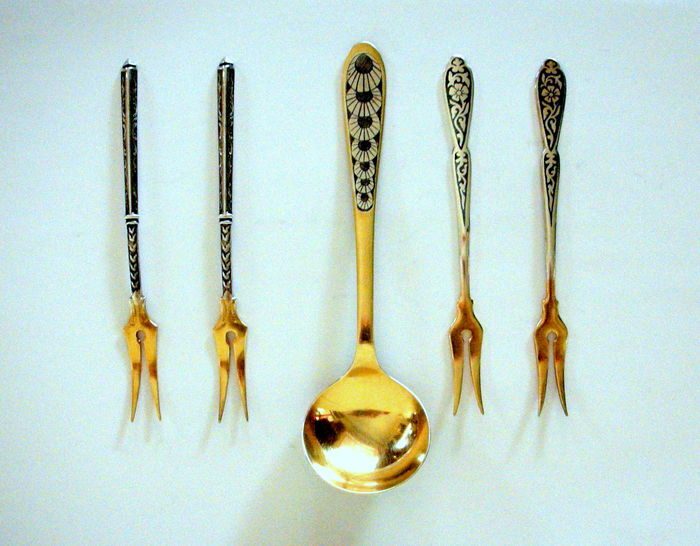 Vintage rare Soviet Russian silver (875/1000) hand engraving, gold gilded, niello, finish texture, Silver small fork, "Sievernaja chern"
hallmarks: Russian B-JU-6; small B-Star-875; ( produced by ateller ,, Bronickij juvelir" 1956-1958), L= 13 cm, 2 pcs., Weight 23 gr.